Building a secure system is like constructing a good pizza – each individual layer adds flavor that ultimately builds to the perfect bite. At Netflix we have hand-crafted ingredients that by themselves are scrumptious, but when placed together strategically on the crust (read: cloud), constructs a pizza so large that any pizza lover (read: attacker) would be challenged to finish. Attendees will learn the secret to the sauce that is Netflix Infrastructure Security and how even defensive appsec tooling like Signal Sciences can be used in the mix to be better equipped to start baking pizza in their own kitchen, and leave satisfied. As Head of Channel Marketing at Signal Sciences, James works with our partner community to develop joint go-to-market enablement programs that drive engagement and evangelize application security. He is also deeply involved with DevOps and Rugged Software movements. Seeing the gap in software testing, James founded an open source project, Gauntlt, to serve as a Rugged testing framework. He is the author of several security testing, DevSecOps, and DevOps courses on LinkedIn Learning. He is a frequent speaker on topics in DevOps, DevSecOps, InfoSec, cloud security, and serverless at conferences like SXSW, RSA, AppSecUSA, DevOps Days, DevOps Enterprise Summit, and more. 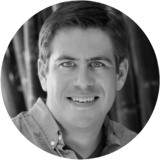 Will Bengtson is senior security engineer at Netflix focused on security operations and tooling. Prior to Netflix, Bengtson led security at a healthcare data analytics startup, consulted across various industries in the private sector, and spent many years in the Department of Defense. 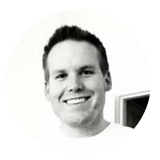 Bengtson is on the BSidesSF and Bay Area OWASP leadership team. Bengtson contributes to numerous open source projects and has spoken on topics of security across the world.